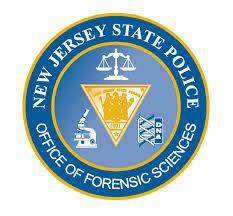 A New Jersey lab technician, employed at a Little Falls State Police Laboratory, has been suspended, pending an investigation over potential falsification of drug reports. Indeed, the technician reportedly faked results in a suspected drug case which has drawn into question 7,827 criminal cases on which he worked, according to state officials. Specifically, it was alleged that the technician spent an insufficient amount of time analyzing a substance to determine if it was marijuana and reported a result without conducting the requisite analysis. According to the State Attorney General’s Office, prosecutors will be notifying defense attorneys whose clients were prosecuted based on the test results reported by the technician in question. Most of the cases involving the technician’s test results came from Bergen, Essex, Morris and Passaic counties. While specimens from open cases will likely be retested, the question that remains unanswered is how this will impact already resolved cases in which specimens have already been destroyed. In any event, it is suggested that the burden should be up to the State to uphold the conviction, and not up to the defendant. News of the allegedly fraudulent lab test practices has served as a catalyst for individuals to seek counsel to discuss their options. Criminal attorneys are already poised to file motions to vacate convictions and individuals in jail are considering filing actions for post-conviction relief (PCR). Noteworthy is the fact that the outcome of this scandal may have far-reaching immigration implications. In particular, in cases where an intending immigrant may have been or may be deemed inadmissible to the United States or declared deportable by virtue of having a drug conviction, if it were proven that the conviction were somehow marred by the aforementioned misconduct, this could cure the individual’s immigration situation. New Jersey Immigration Attorney, Edward Shulman, of the Shulman Law Group, LLC is a leading expert on the consequences of criminal convictions on Immigration Status. He has a twenty-year history of consulting and coordinating with criminal attorneys to assess the best strategies so that there are no negative immigration consequences and so that deportation relief will be available for the intending immigrant client. He advises the criminal attorneys on how to either amend or vacate convictions and has a proven record of helping individuals improve their chances of legalizing their status in the United States.